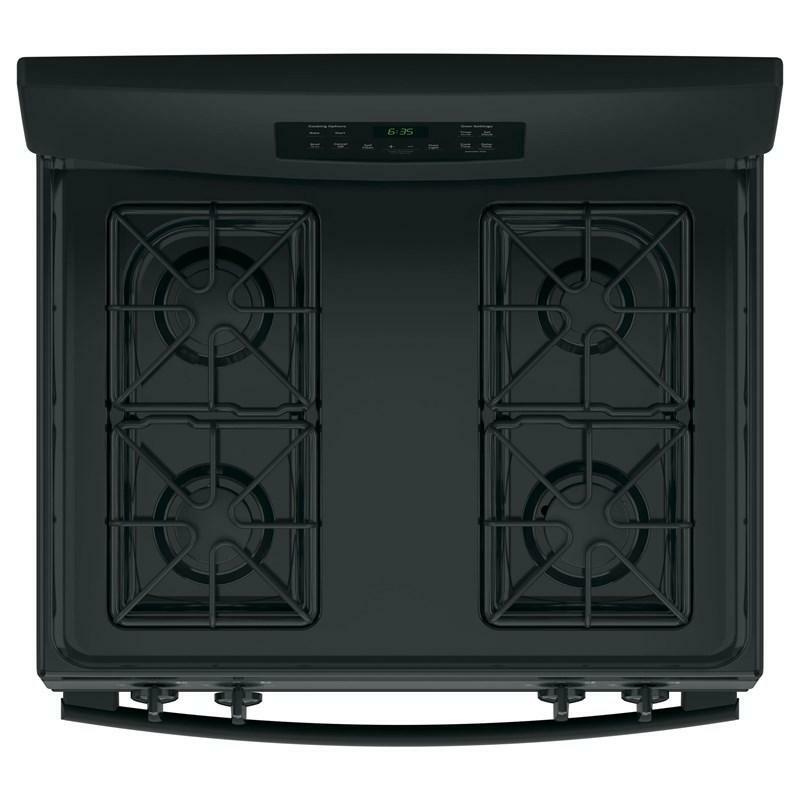 GE 5.0 cu. 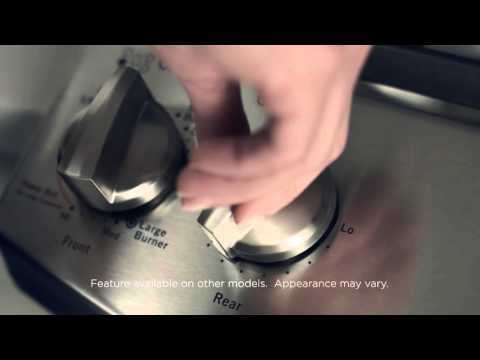 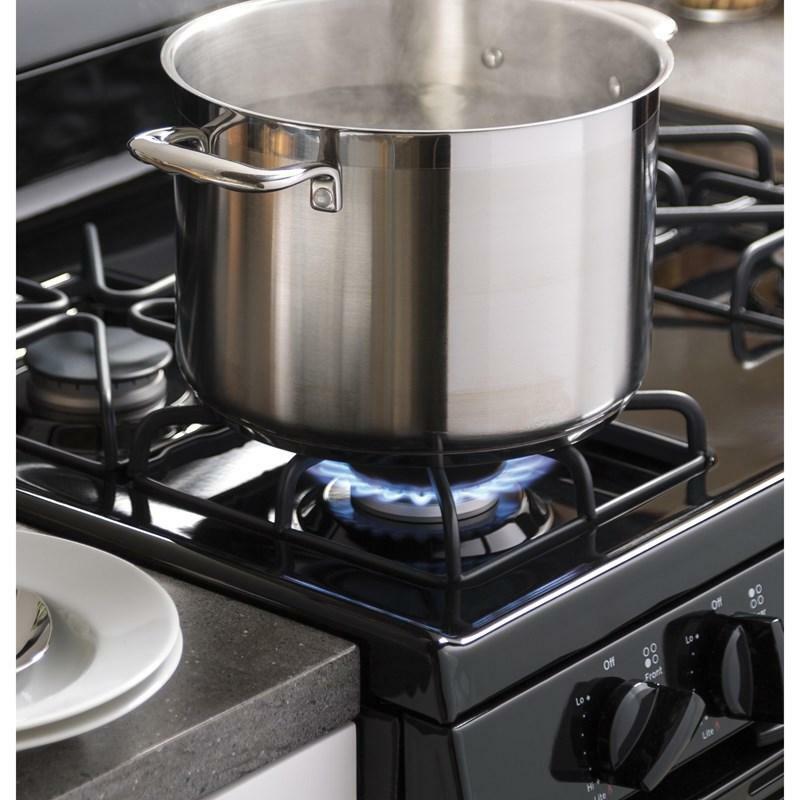 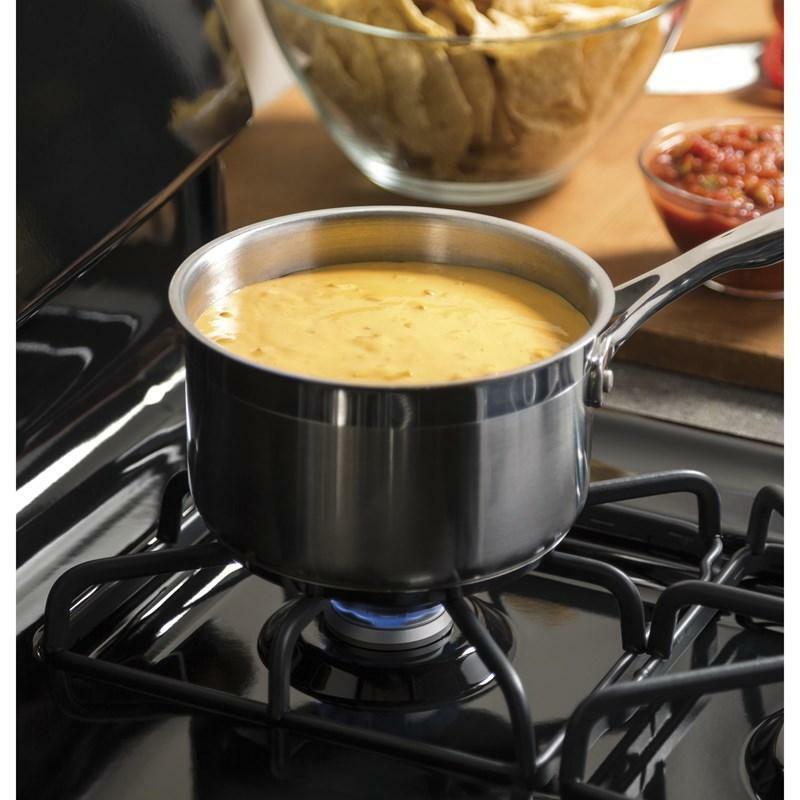 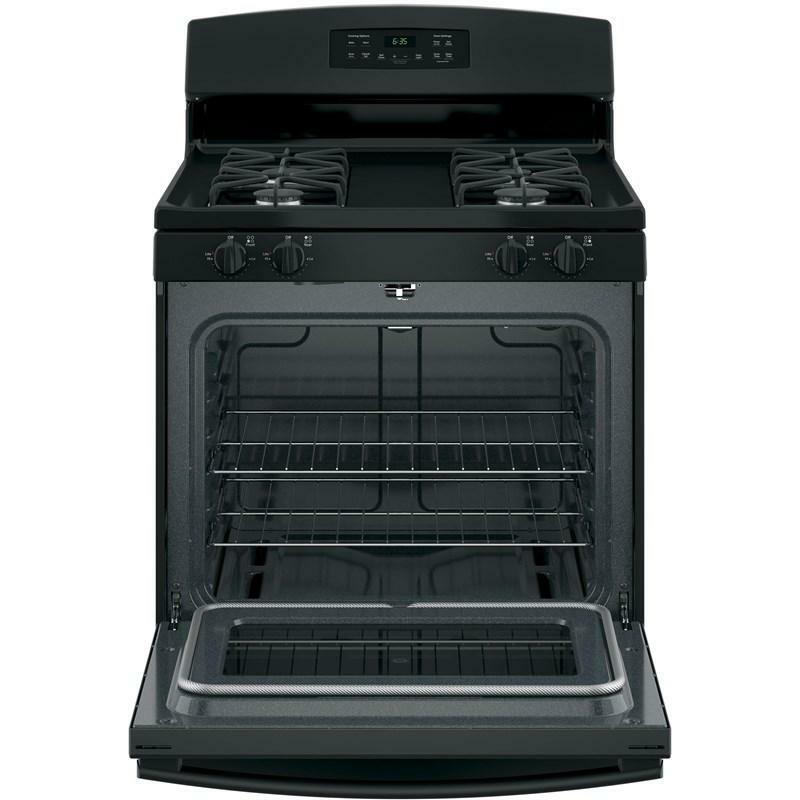 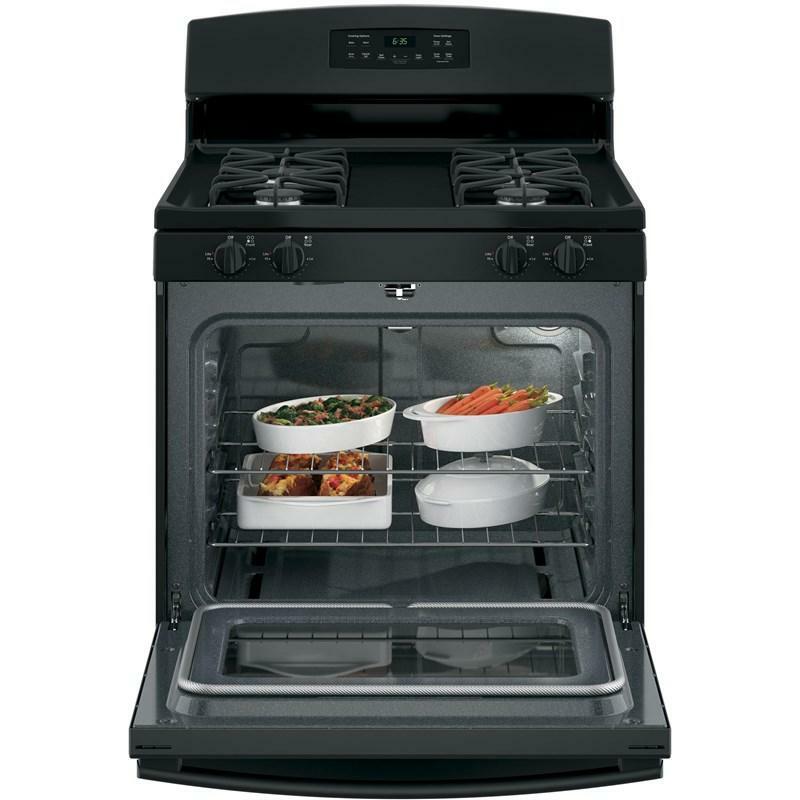 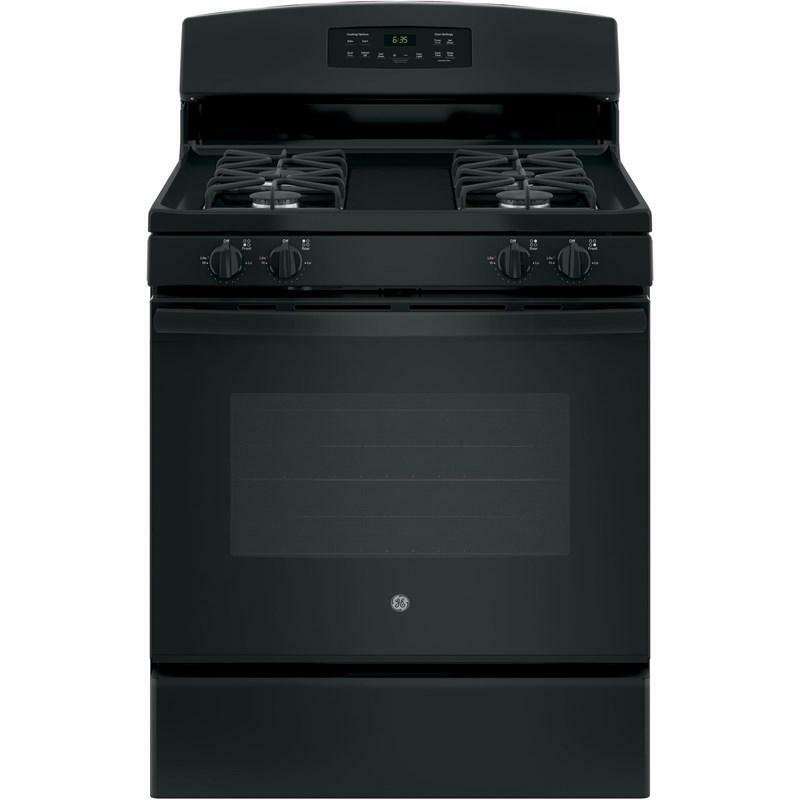 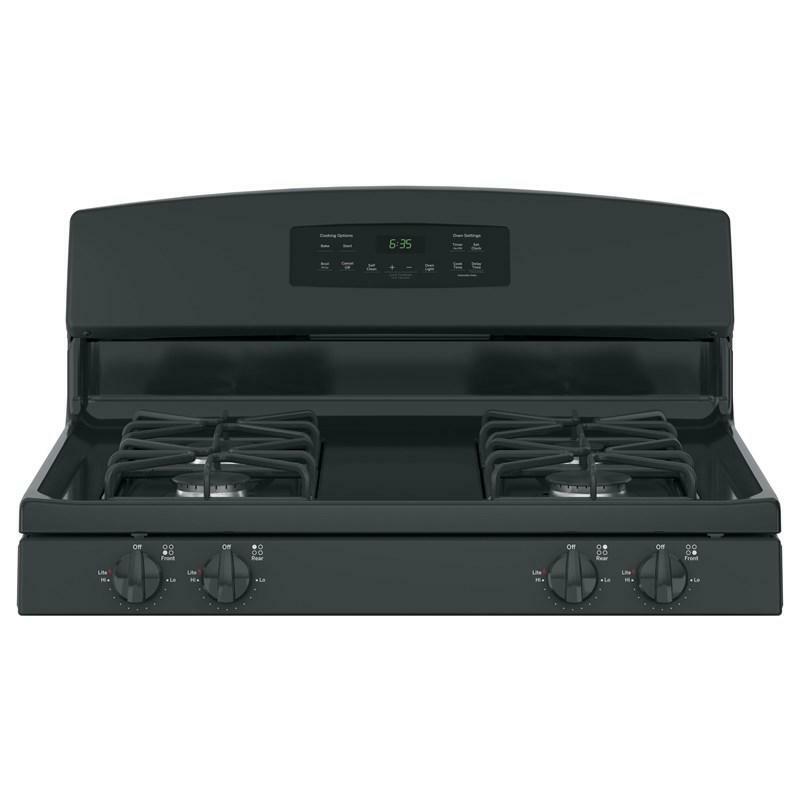 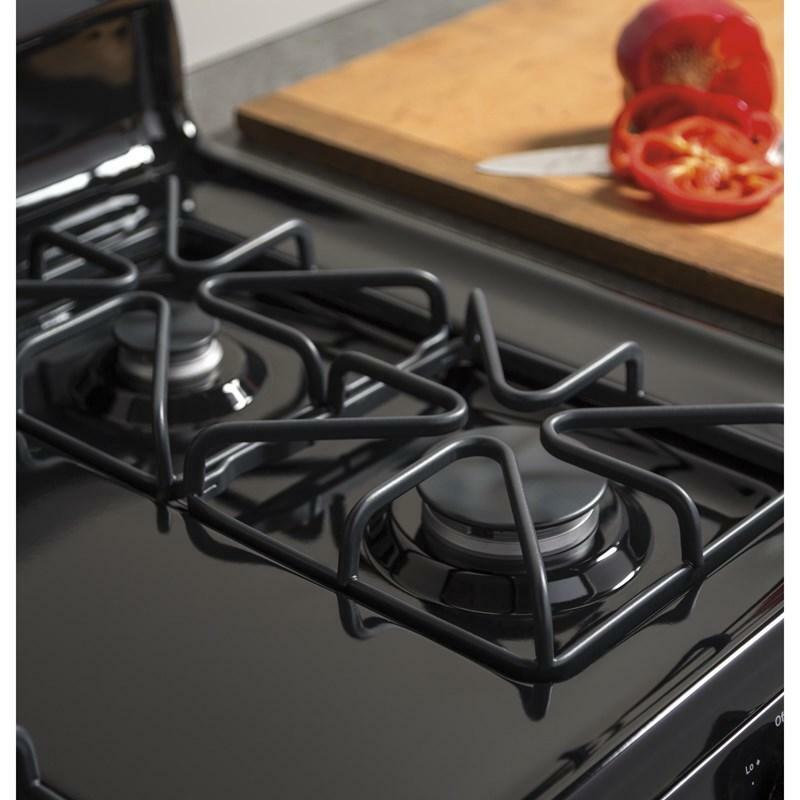 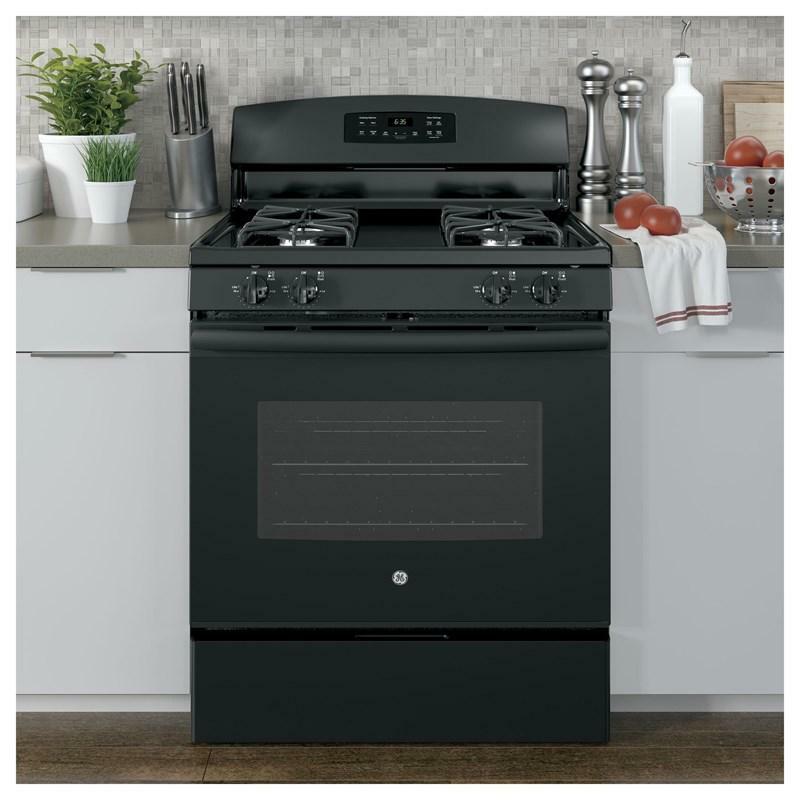 ft. self-cleaning freestanding gas range features 4 cooktop burners to meet various cooking requirements. 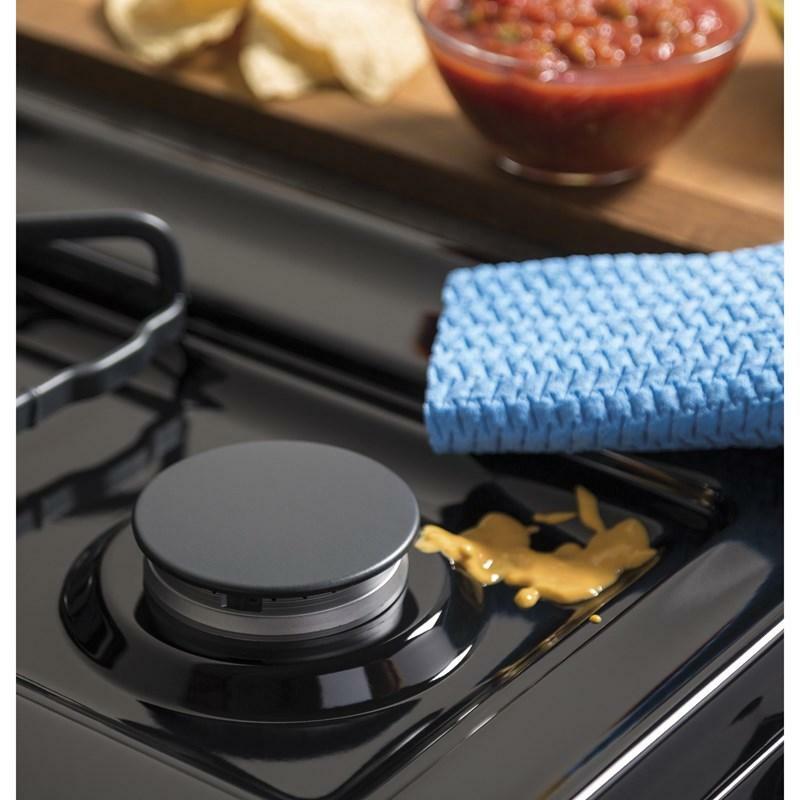 Its porcelain-enamel cooktop surface offers a durable design. 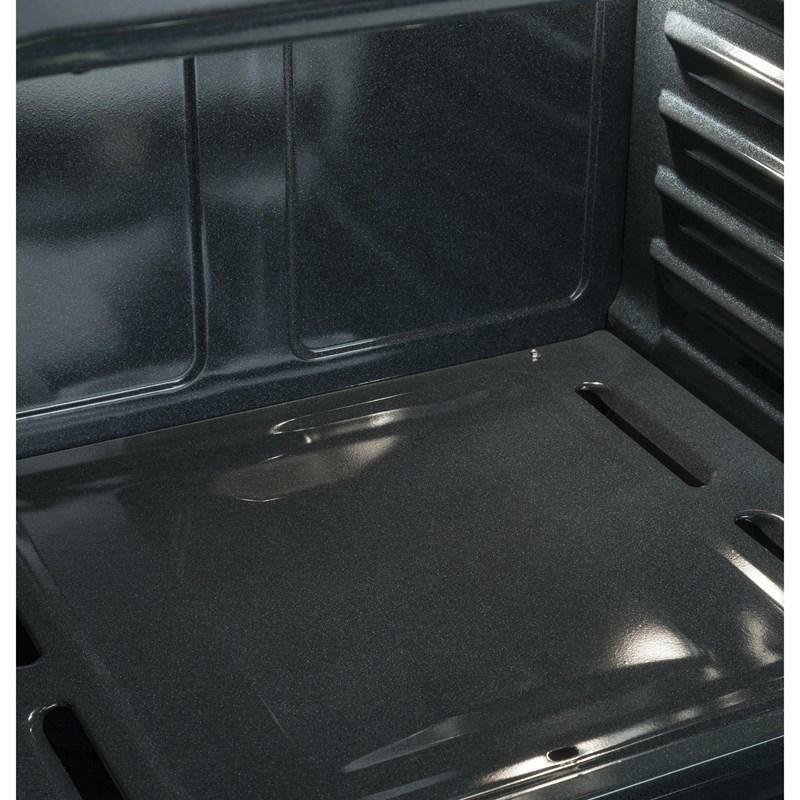 It also features a storage drawer and control lock.